The installation consists of a series of screen-based games played from a freestanding console that negotiate two-dimensional space in different ways using line, colour, shapes and simple gameplay. 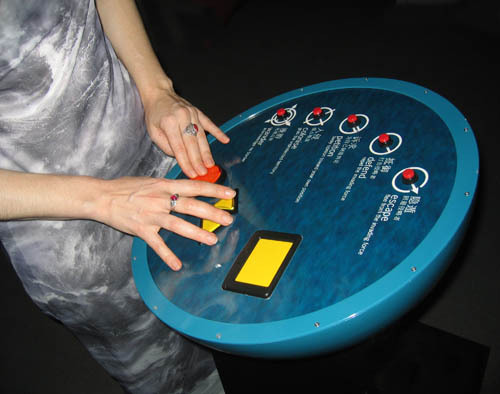 These games lead to video clips of young women responding to questions posed in the plaything research questionnaire. Plaything was produced with the support of an Australian Research Council Discovery Funding Scheme and the Australia Council for the Arts.